School Tour: On Wednesday both 6th classes went on there school tour. On day one we went snow tubing and unfortunately, we did not get to play foot golf as we got stuck in traffic.We then went to Nando’s. The food was lovely and we got frozen yogurt after. We went shopping after our food. We were split into small groups of about six or seven in each.We went to many shops and bought stuff that we probably do not need. We then went bowling and the winner was group 4. It was Ella’s birthday so we celebrated with buns and a song. We went to the cinema to see Jurassic World. It was an amazing film but we won’t give any spoilers. 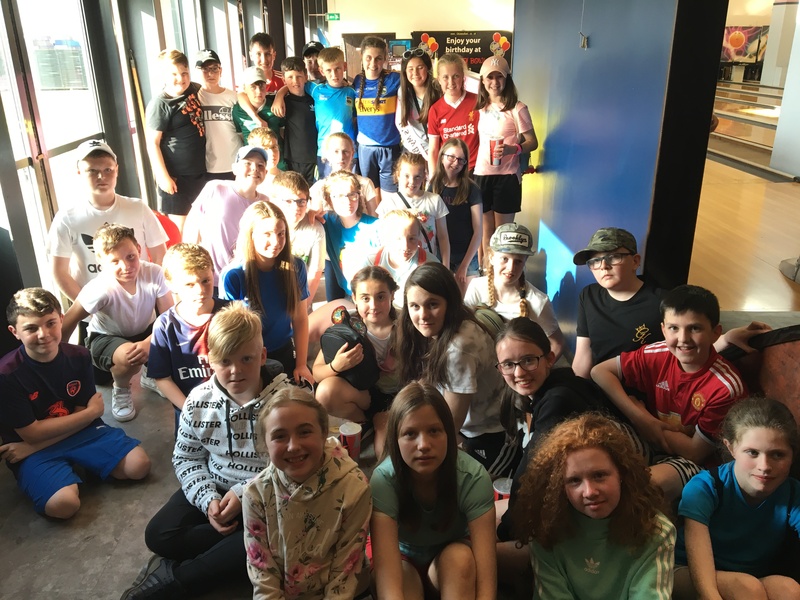 On day two of our school tour we went to the Jungle we did tree top adventure, rodeo bull, the leap of faith and we did archery. We then headed home to reunite with our family. 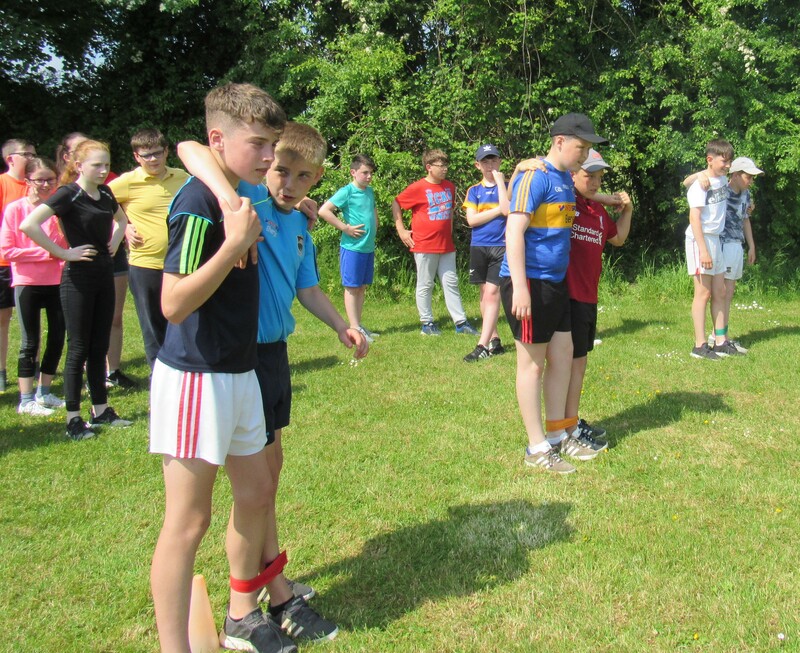 Sports Day: A few weeks ago, on Thursday, we had our last Sports Day but it was even better than we expected. 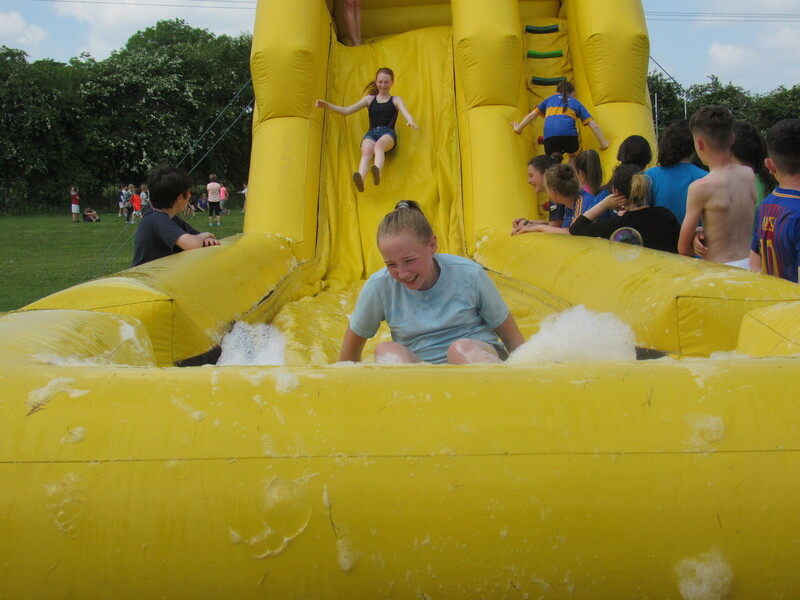 We had water slides and many other activities. Then we played teachers vs 6th class. We drew with the teachers in the end but it was some crack. 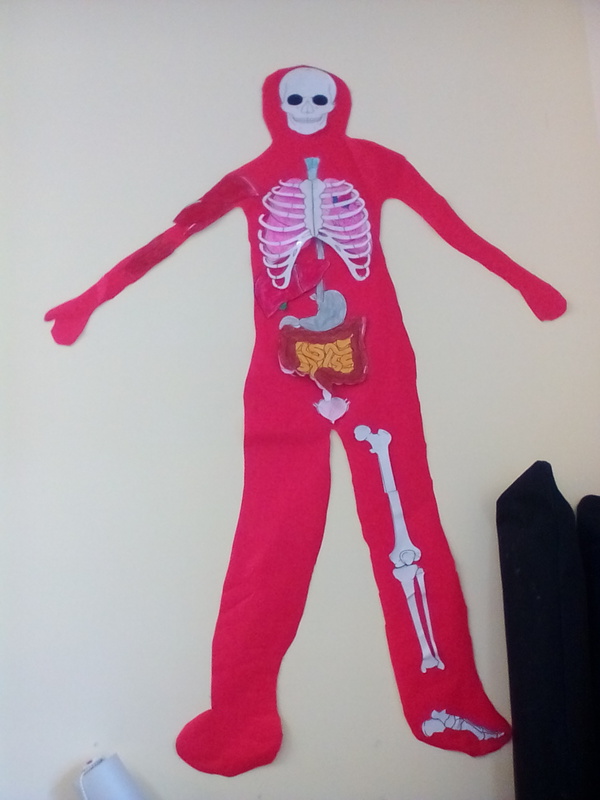 Science Project: We started our science projects on the human body . We were assigned into groups by the way we were seated. We were given different jobs and got to work straight away. I had to cut out all the boys stuff even tho I was not in there group. 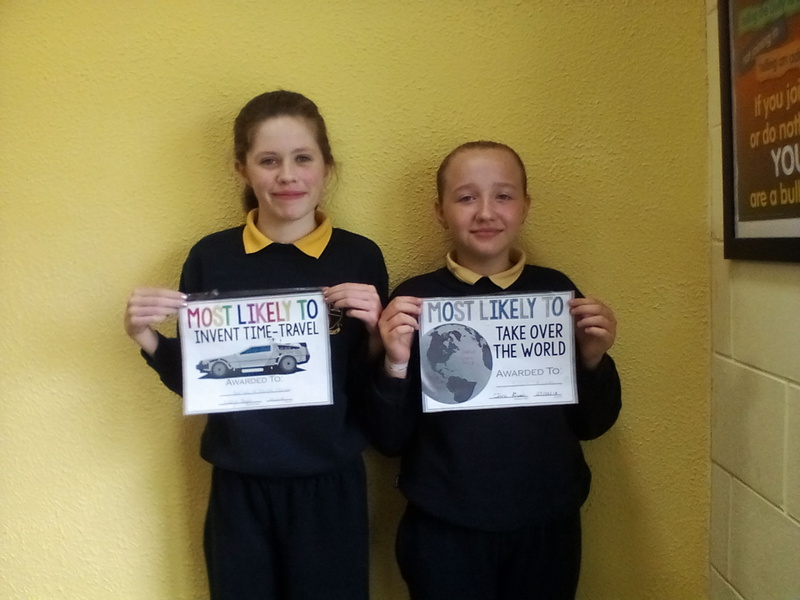 Awards: We had our own awards in our class to practice for our graduation. A few examples of awards are most likely to go to space, become president and even to take over the world. Everyone won an award even Mr Scully and Mr Conlin won an award I wasn’t expecting that. 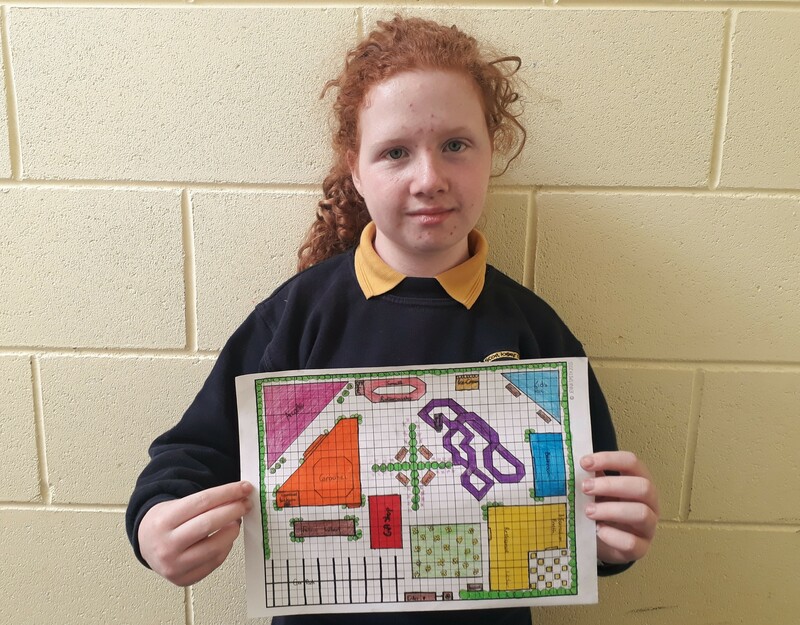 Theme Park Project: In maths we were making our own Theme parks. We used our area and multiply cation skills to help us along the way. Some themes were Candy Land, Fortnight and pleasant park. We are know writing letters in English about why we want you to pick our parks.